A Vietnam International Fashion Week yesterday was opened at the Vietnam National Convention Center in Hanoi. The fashion week named the Vietnam International Fashion Week Fall-Winter 2016 was opened with a coolection of Nguyen Cong Tri, one of the Vietnamese leading designers. 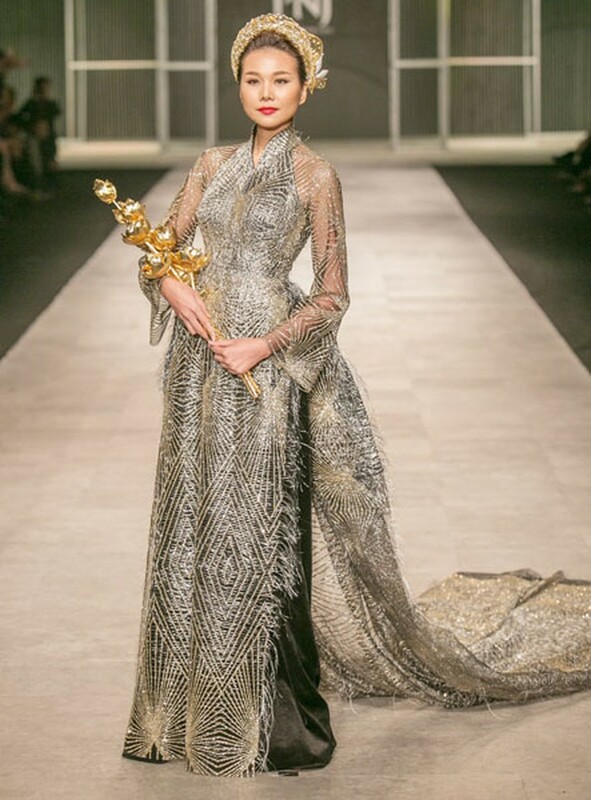 Top model Thanh Hang gave a great impression to the audience with a set of Vietnamese traditional ao dai, a golden head turban worth VND500 million (US$22,400), and a bunch of lotus flowers made of gold worth VND2.1 billion (US$94,000). The event will bring Vietnamese fashion-lovers fabulous new trends for this fall with the most unique and impressive collections of top Vietnam and International fashion designers and labels, such as Thuy Nguyen, Devon Nguyen, Giao Linh, Xuan Le, Giang Le, Phuong My, Ngoc Le, and Malaysian designers Priyo Oktaviano and Joe Chia, Julien Fournie of France, designers from Paris leading fashion academy Atelier Chardon Savard. 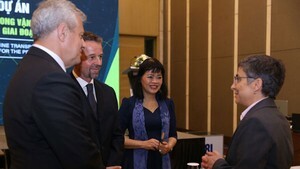 Launched for the first time in 2014, the long-week fashion show is expected to connect Vietnamese designers to the world’s fashion industry. The event that meets international standards has blown a new fresh air into the fashion industry and given a deep impression on devotees. The organization board will launch the event twice each year starting this year. The Vietnam International Fashion Week 2016 for spring and summer was oraganized in HCM City in April. The event will run unitl November 6. Vietnam International Fashion Week Fall-Winter 2016 was opened with a coolection of Nguyen Cong Tri, one of the Vietnamese leading designers. Top model Thanh Hang wears a set of Vietnamese traditional ao dai, a golden head turban worth VND500 million (US$22,400), and a bunch of lotus flowers made of gold worth VND2.1 billion (US$94,000).